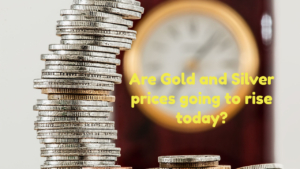 Today we are following up from our weekly update on Saturday and pointing out that today is a very important day for gold and silver prices. Before we do that let’s just catch up with where we are now. At the time of writing which is 11am GMT gold is up $10 since Friday’s close at $1313 and silver is up 20 cents at $15.95 still attempting to reach that psychologically important level of $16. In approximately 8 or so hours’ time we shall hear the FOMC’s announcement on interest rates which we believe will be held at current levels, but more importantly we should be given a guide by the FED Chair as to how they are dealing with their balance sheet run off, and whether their future approach is going to be as dovish as many of us suspect it may be. If that is the case, and we only say if, at this stage, as there is important data due to come out on Friday such as the non-farm payrolls and motor vehicle sales and manufacturing PMI and Index for January. Then we shall see a further weakening of the US dollar from its current spot index number of 95.8 which will serve to push silver above $16 and gold immediately up to $1325, if they haven’t already reached there before the announcement, on speculative grounds. Of course, if the figures on Friday are going to prove extremely strong, then the alternative may be the case. However, we are very mindful that yesterday, Consumer Confidence figures were announced for January, and they were way down below December’s and lower than what markets were even expecting. The Index in December was 126.6, expectations were 124 for January and reality was 120.2. This does not bode well if these indications are followed through in actual spending and in the economy at large. Tomorrow we were hoping to also see the consumer spending figures for December and core Inflation for December, but these unfortunately have been delayed. That said, today is the key day, and we are making the assumption that the FED has a good insight into the figures to be announced on Friday. Now is this the beginning of the end of the US dollar as some of the pumpers have already remarked this week? Well today is always the beginning of the end of something, the day you are born is the beginning of the end of your life. What is most interesting is that other countries too are suffering, and their currencies are also under pressure. So, whether you own the Dollar, the Euro, Sterling or even the Yuan, nothing is certain for the moment. If global trade slows to the level some fear, then we shall see all economies face a downturn. Will it be a crash of the seismic proportions of 2008, we doubt it, but it could be a slow lingering decline over several years rather than an abrupt implosion. You can rest assured the Central Banks will then step in and try and reflate their economies, which frankly they can still get away with, just about. What is heartening in one respect is that stock-markets are not moving violently today, as if the dollar weakens slightly, then that can be construed as positive for exporters. So today is important, and the words of the FED Chair extremely important. Over night we shall dissect and interpret what is announced, and will provide the results of our analysis firstly in the Inner Sanctum and then for everyone on our weekly roundup on the weekend. That said, as we enter the Chinese New Year which begins 5th February, we should not be at all surprised to see gold and silver at higher prices than they even are today. The extent of the rise, however, will to some extent be determined today together with any deal that the US can make with China while their Vice Premier is currently in Washington negotiating.